Top leader of the Democratic People's Republic of Korea Kim Jong Un and US President Donald Trump signed a document in Singapore on Tuesday after their historic summit. 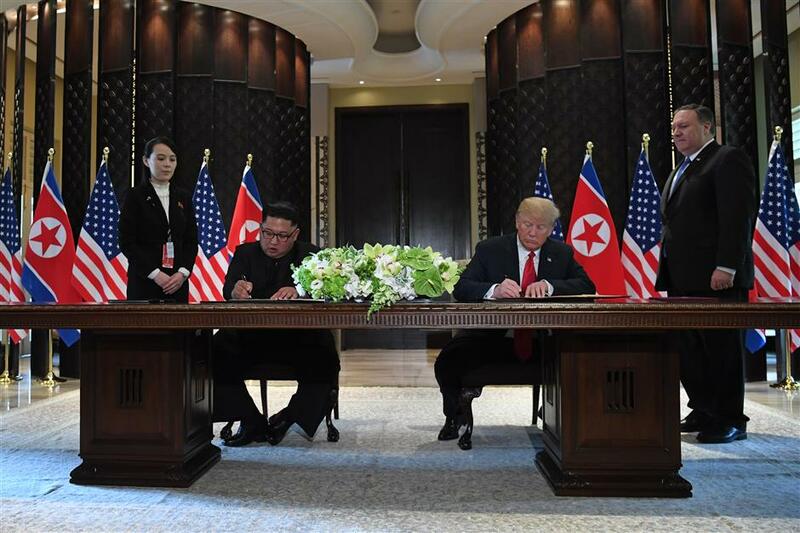 US President Donald Trump (2nd R) and DPRK's leader Kim Jong Un (2nd L) sign documents as US Secretary of State Mike Pompeo (R) and the DPRK leader's sister Kim Yo Jong (L) look on at a signing ceremony during their historic summit at the Capella Hotel on Sentosa island in Singapore on June 12, 2018. 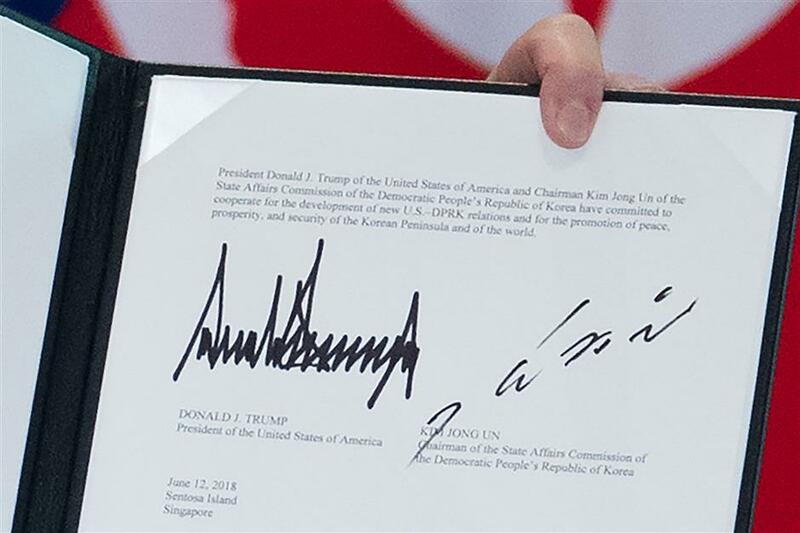 The signatures of US President Donald Trump (L) and DPRK's leader Kim Jong Un (R) are seen on a document held up by Trump following a signing ceremony during their historic summit at the Capella Hotel on Sentosa island in Singapore on June 12, 2018. Top leader of the Democratic People's Republic of Korea Kim Jong Un and US President Donald Trump signed a "comprehensive" agreement in Singapore on Tuesday afternoon.